Looking for a good makeup for the day of the dead? Have no makeup skills at all? 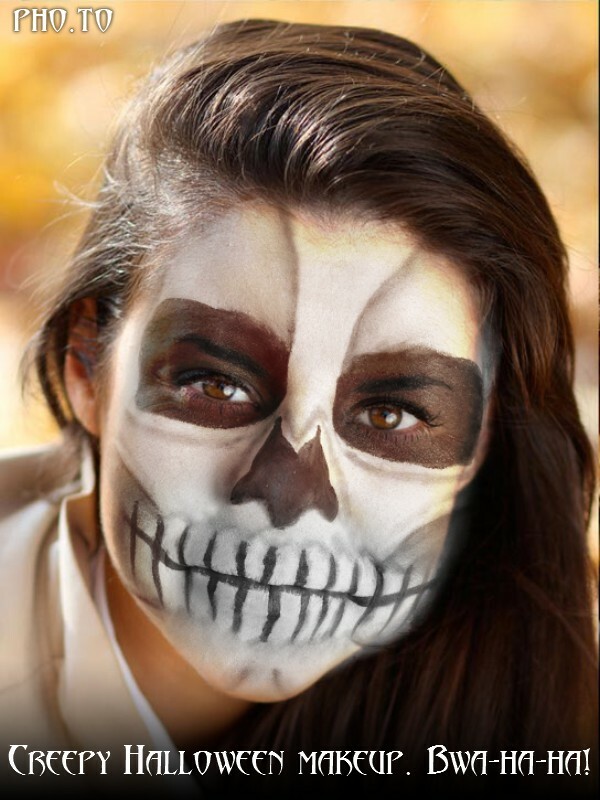 Then apply the skull face painting effect and amaze your friends with your new profile picture with a realistic Halloween skull makeup! 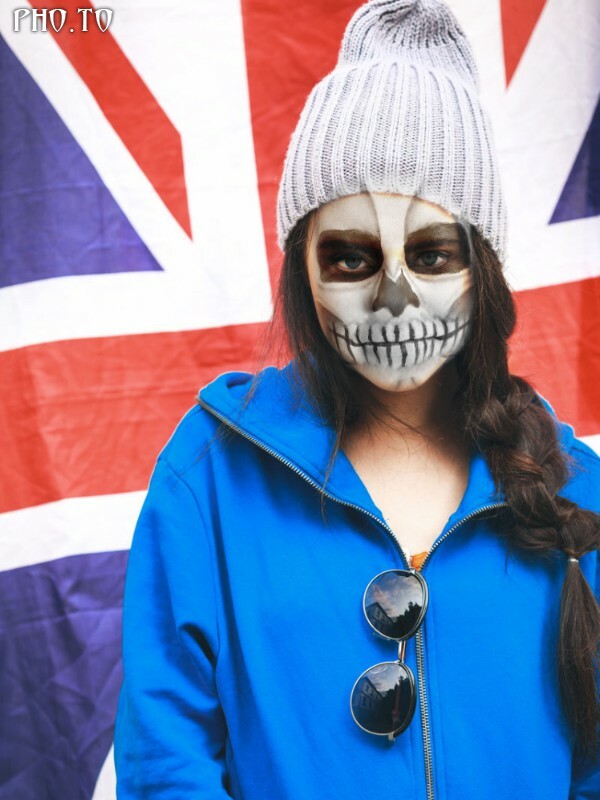 Apply a virtual skeleton face painting with this skull photo editor and find out if the realistic skull makeup looks good on your face. 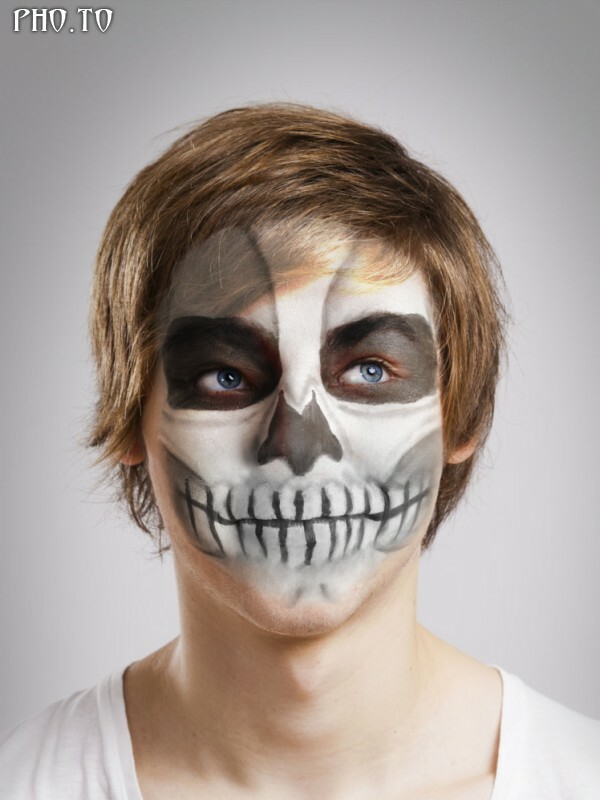 This full face skull makeup can be added to front face photos online and it is completely for free. Starting from now you don’t need to have any makeup skills at all to add photos with you wearing a skull makeup to a Halloween album. 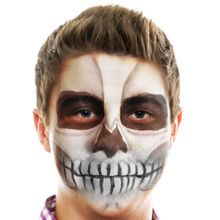 Upload your face photo to this skull photo editor to make a creepy Halloween profile picture. It’s an ideal day of the dead face painting! Besides this skeleton makeup photo effect here you’ll find lots of other creepy photo templates. Check the Monster effects page to choose a scary face transformation and become a demon or an alien or apply the fire photo frame to liven up your images. This effect contains elements of horror or content that some people may find disturbing. Therefore it is not appropriate for minors or people with delicate sensibilities. By clicking the Agree button, you confirm that you are over the age of 16 and have read and understood the above statement.